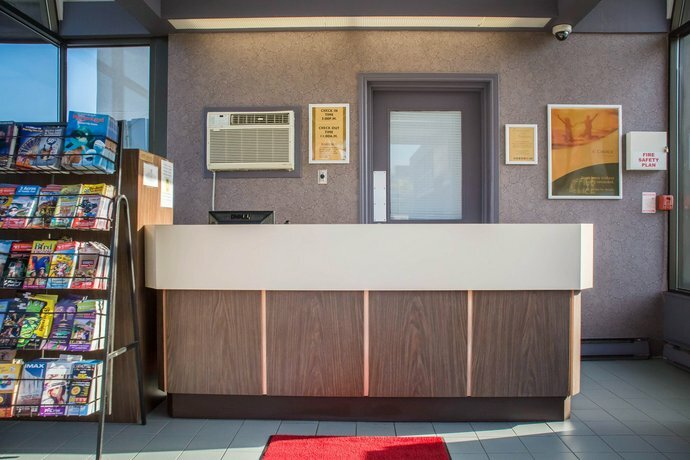 This 57 guest room hotel is located approximately 2km west of the Falls and Clifton Hill is about a 3 minute walk southeast. 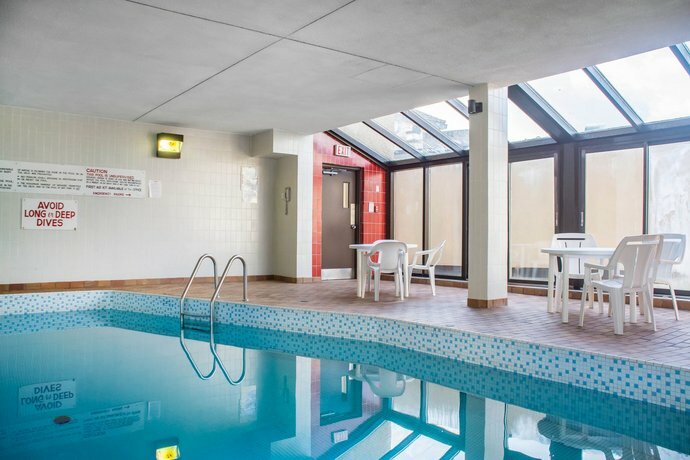 The accommodation features an indoor heated swimming pool, a sundeck, and a tour desk. 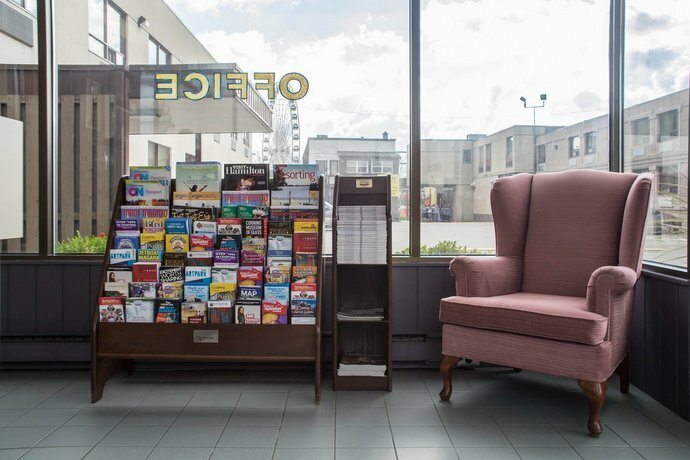 Smoking and non-smoking rooms are available and all units are equipped with cable televisions while some rooms also have balconies. 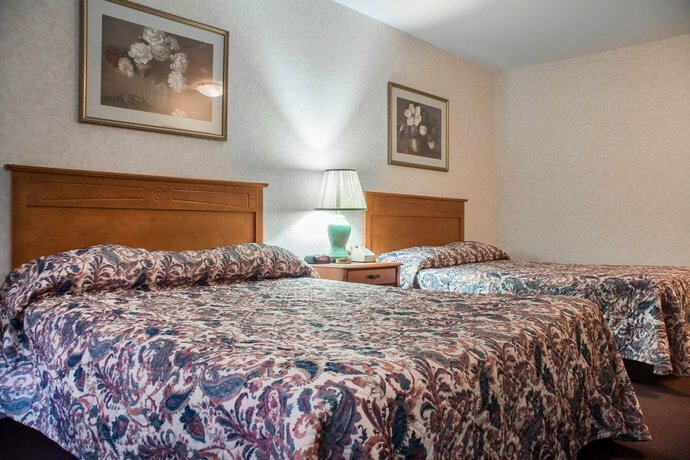 Outdoor parking and local calls are included with the room rates and this hotel also offers cold weather hook ups. Although there isn't an on-site restaurant at this hotel there are several eateries within walking distance or a short car ride such as Jacks Italian Restaurant (66m), Lotus Garden Chinese Restaurant (75m), Beef Baron Restaurant (110m), and Montana's Cookhouse and Bar (200m). Several tourist attractions are also nearby and some of these include the Niagara SkyWheel (300m), Rainbow Bridge (2.1km), Queen Victoria Park (1.8km), Maid of the Mist (1.8km), and Fallsview Casino (1.4km). For guests that would like to shop the Niagara Square Shopping Mall is approximately 8.1km away, or a 13 minute drive southwest depending on traffic. All distances: Google Maps. 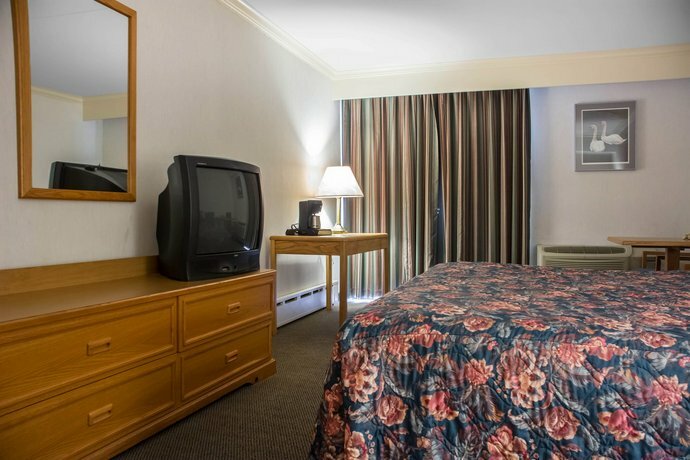 Guest reviews for this hotel were mixed but those that were positive typically mentioned the convenient location, the reasonably priced room rates, and the friendly staff. 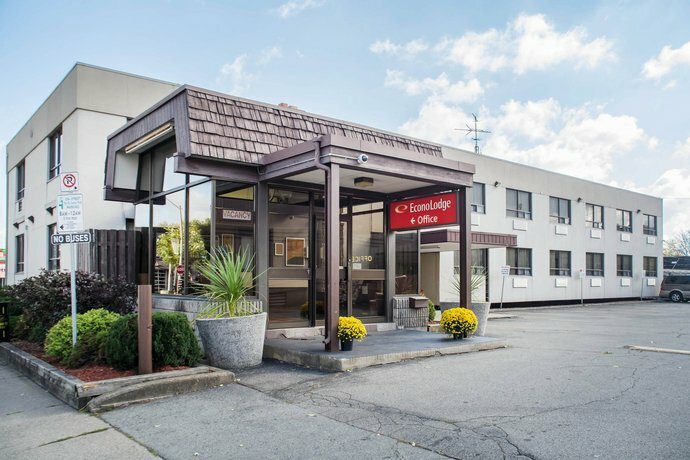 Many guests said that this hotel's location was convenient as it was located close to the Falls as well as several tourist attractions which could be easily accessed by car. 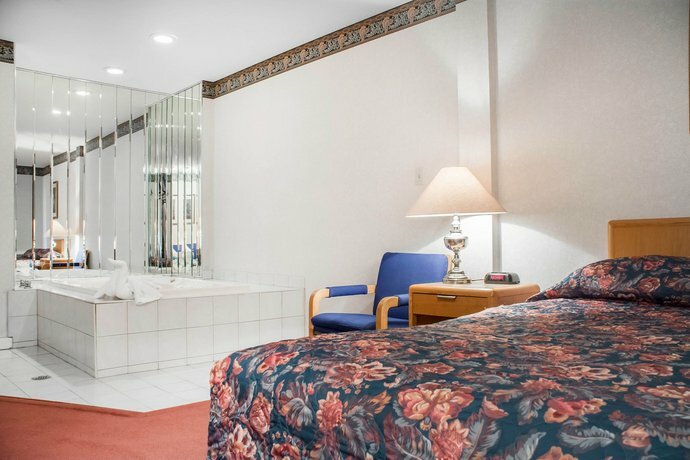 A number of guests felt that this hotel was reasonably priced and ideal for those traveling on a budget. Some of these guests mentioned that they did not mind the basic room interiors as they found the rooms met their needs for the money they spent. 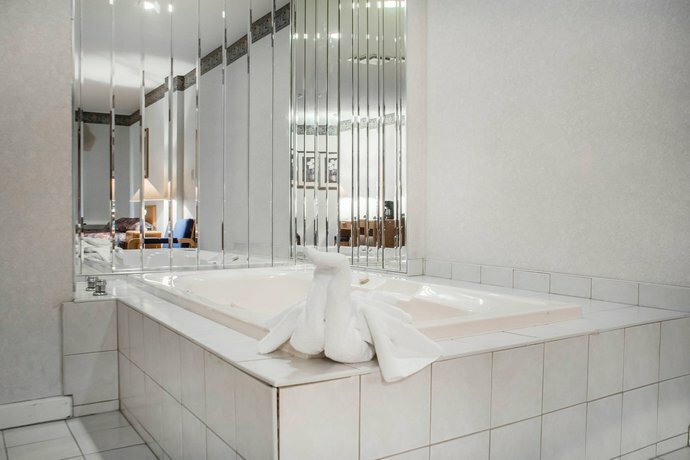 Several guests were pleased with the customer service at this hotel and some guests described the hotel staff as friendly. 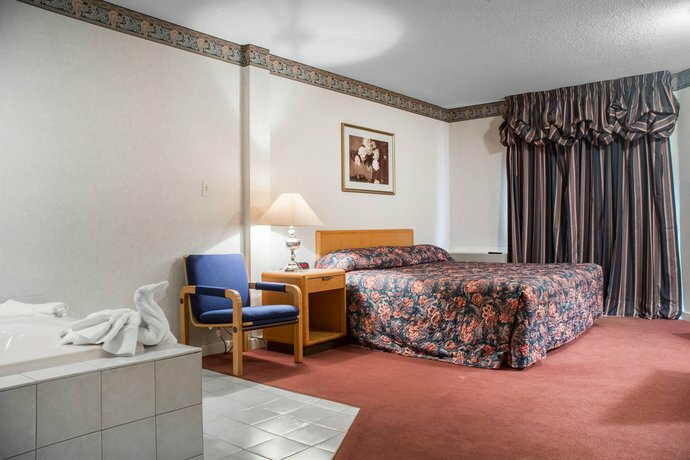 Negative guest reviews for this hotel typically spoke of the unclean and dated room interiors, the unexpected room deposits, the smell of smoke in the hallways, and the indoor swimming pool temperature. 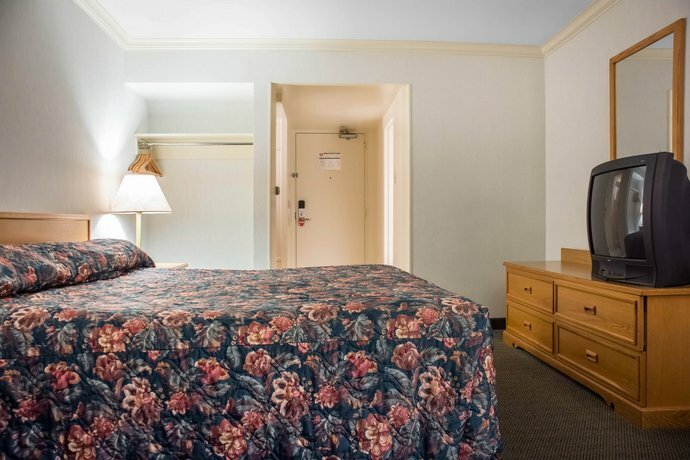 Many guests complained of their unclean room interiors saying their bathrooms were dirty and mouldy, their mattresses were badly stained, and that their towels needed to be replaced. Some guests felt their rooms needed to be renovated and a few guests also mentioned issues with the television reception. 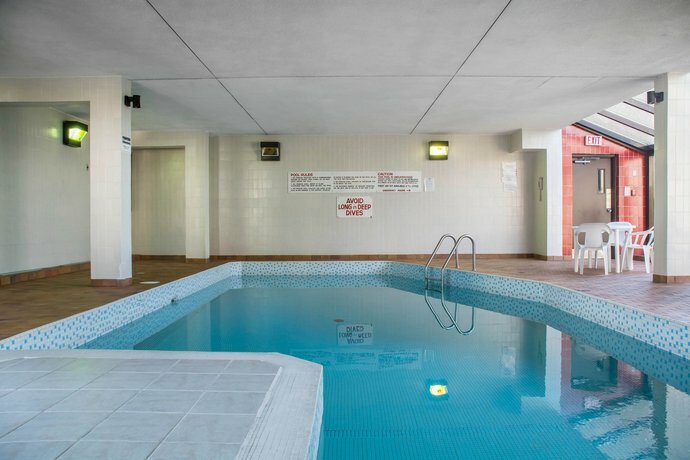 A number of guests were surprised when they learned that they needed to pay a room deposit as they said this was not mentioned at the time of booking. Some guests mentioned a $100 deposit, while other guests said they were asked for a $200 room deposit. A few guests said they could smell smoke in the hotel hallways which irritated guests that booked a non-smoking room. 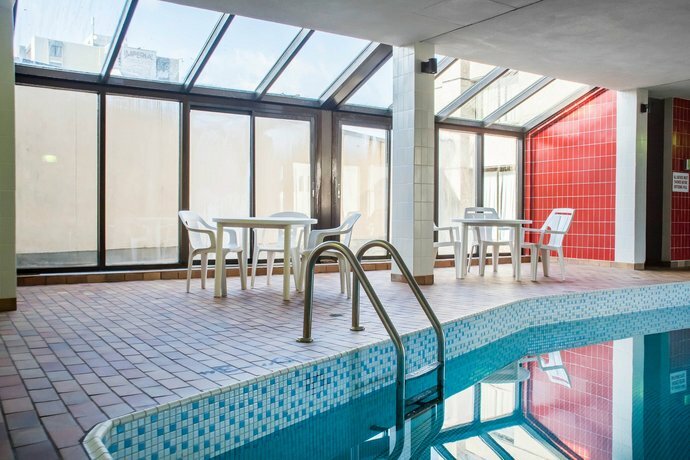 Some guests also mentioned that the indoor swimming pool temperature was too cold. 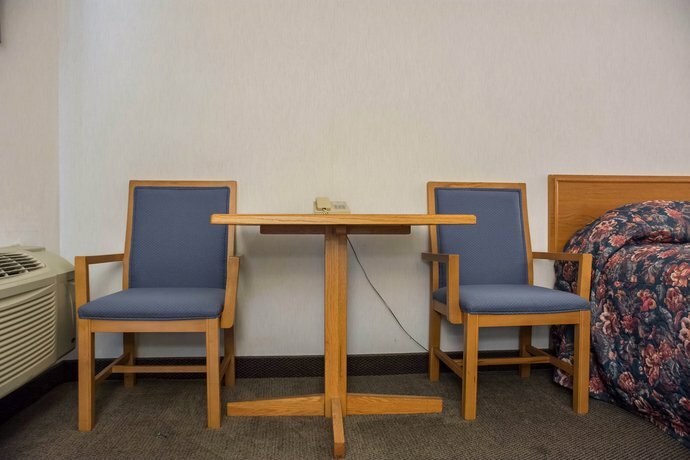 A number of guests were disappointed with this hotel and felt there were better options within the area. 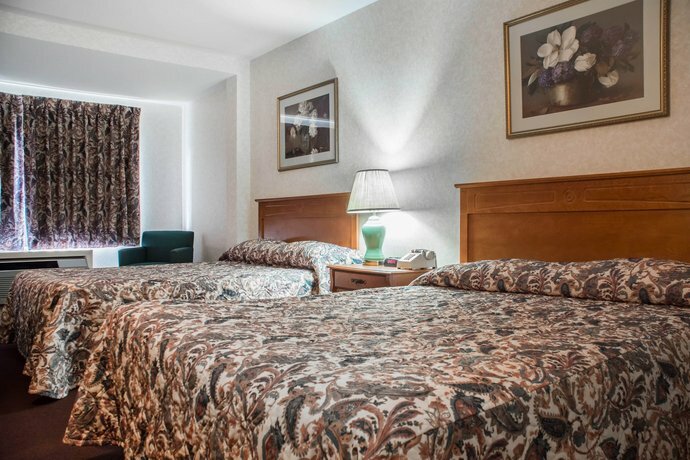 TripAdvisor.com guest reviews ranked this hotel #90 of 137 and scored it 3 out of 5 from 28 reviews. 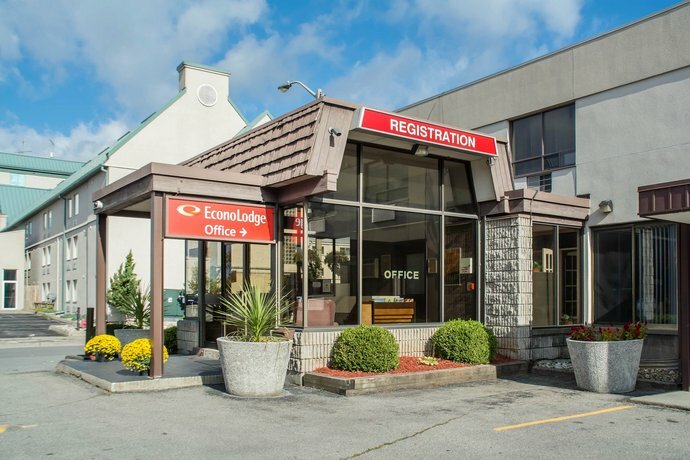 CanadianHotelGuide.com guest reviews ranked this hotel #42 of 61 and scored it 6.2 out of 10 from 10 reviews. 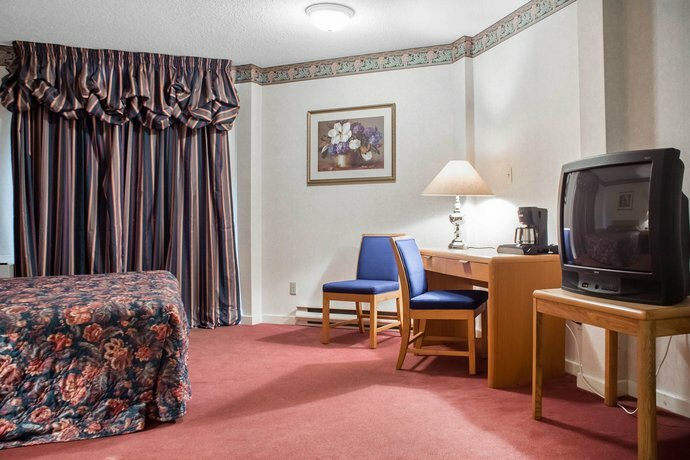 Hotels.com guest reviews scored this hotel 3.4 out of 5 from 11 reviews. 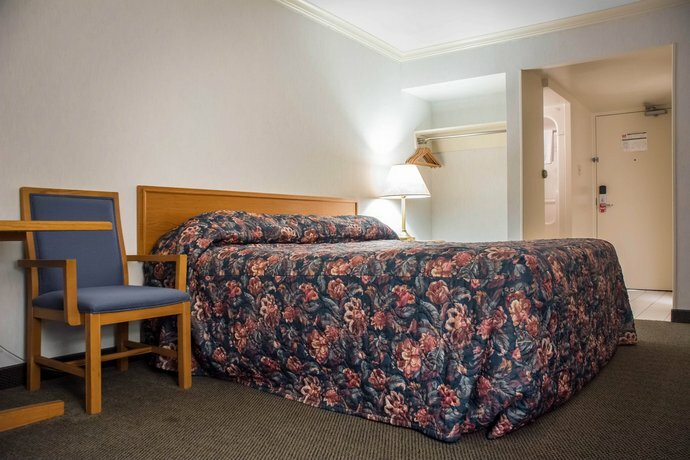 Orbitz.com scored this hotel 3.5 out of 5 with 90% of guests recommending it to others from 20 reviews. Tania is a writer and world traveler with a passion for living life to the fullest. 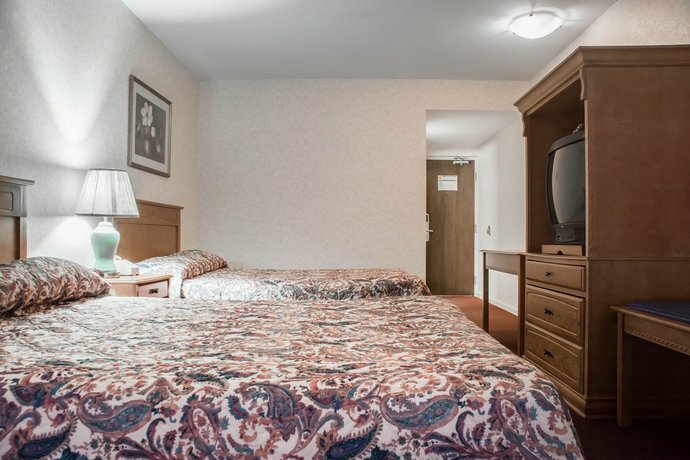 The average guest rating for Econo Lodge By the Falls is 6.3 out of 10 based on 1130 reviews from past guests. 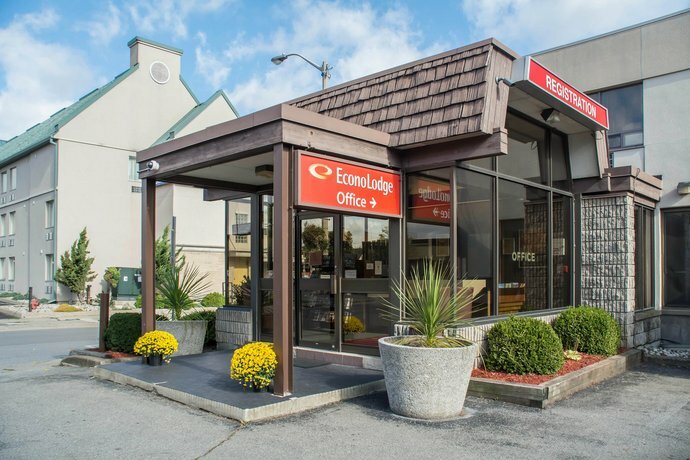 This average guest rating ranks Econo Lodge By the Falls at #71 out of 93 hotels in Niagara Falls.